Tuesday, 22 May 2018: An appreciation of wildlife: snakes come to the Academy. 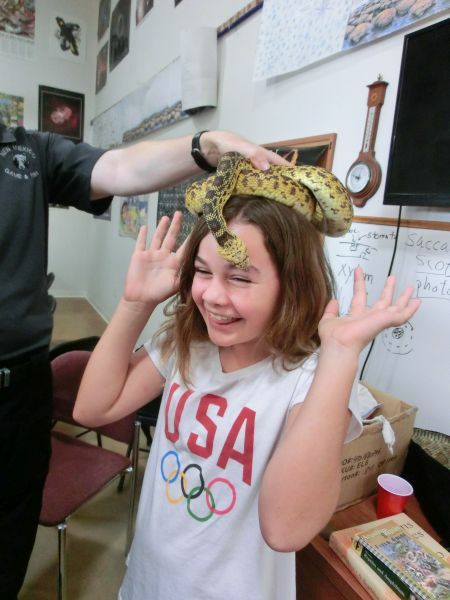 Jeremy Lane, of New Mexico Game & Fish visited again with nonvenomous snakes. Imparting not fear (as you can see) but an awareness of how snakes live, act, and fit into our world, Jeremy got all our students involved!